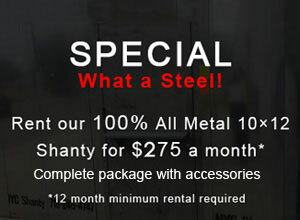 We are your GO TO company for 100% All Metal Shanty – Inside and Out! 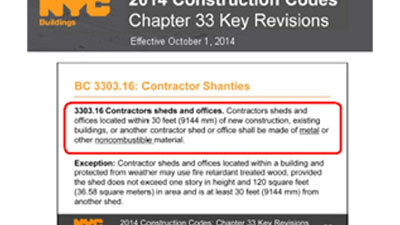 NYC Shanty is happy to be a stocking distributor of Buckeye Fire Equipment. Ready to request a quote? Complete and submit the form and our sales team will follow up with you. 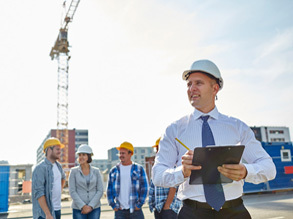 Steel studs have been used in the construction industry for well over 50 years with a proven track record in commercial construction where the specifications have exceeded those required. 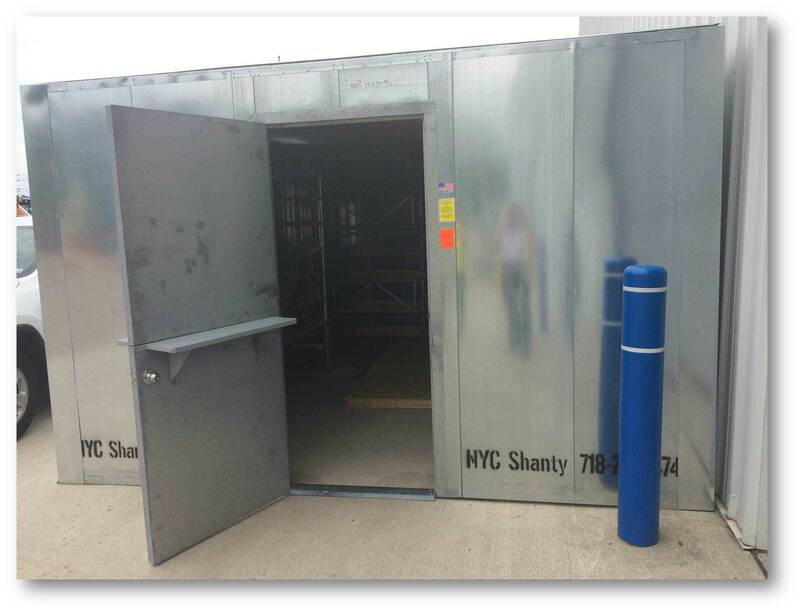 NYC shanties are built with our patented “Z.Lock” panels, using galvanized steel to achieve its strength, durability and Non Combustibility. Completely customizable, sizes available in two foot increments. Doors and windows can be placed wherever needed. 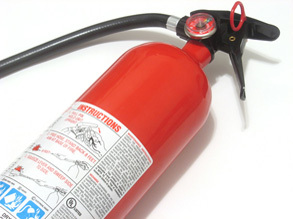 All galvanized steel, made completely of non-combustible material will not burn. With our patented two-foot panels there is no limit to size. Easy to assemble/break down/move. Steel construction lasts and can be reused from project to project. Great for office , storage,or changing area.